The Yanchang Formation is extensively developed in the Ordos Basin and its surrounding regions. 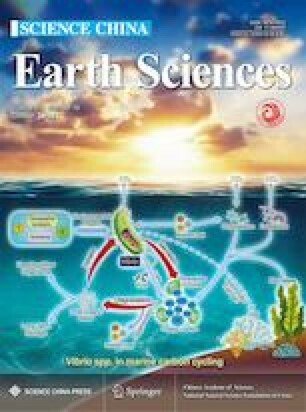 As one of the best terrestrial Triassic sequences in China and the major oil-gas bearing formations in the Ordos Basin, its age determination and stratigraphic assignment are important in geological survey and oil-gas exploration. It had been attributed to the Late Triassic and regarded as the typical representative of the Upper Triassic in northern China for a long time, although some scholars had already proposed that the lower part of this formation should be of the Middle Triassic age in the mid-late 20th century. In this paper, we suggest that the lower and middle parts of the Yanchang Formation should be of the Ladinian and the bottom possibly belongs to the late Anisian of the Middle Triassic, mainly based on new fossils found in it and high resolution radiometric dating results. The main source rocks, namely the oil shales and mudstones of the Chang-7, are of the Ladinian Age. The upper part of the Yanchang Formation, namely the Chang-6 and the above parts, belongs to the Late Triassic. The uppermost of the Triassic is missed in most parts of the Ordos Basin. The Middle-Upper Triassic Series boundary lies in the Yanchang Formation, equivalent to the boundary between Chang-7 and Chang-6. The Ladinian is an important palaeoenvironmental turning point in the Ordos Basin. Palaeoenvironmental changes in the basin are coincidence with that of the Sichuan Basin and the main tectonic movement of the Qinling Mountains. It indicates that tectonic activities of the Qinling Mountains are related to the big palaeoenvironmental changes in both the Ordos and Sichuan Basins, which are caused by the same structural dynamic system during the Ladinian. We are deeply grateful for Prof. Meng Fansong from Wuhan Center of Geological Surrey and Prof. Gregory J. Retallack of Oregon University of the United States for their help on identifications of some plant fossils. We also would like to thank Prof. Yu Bingsong and Dr. Ruan Zhuang from China University of Geosciences (Beijing) who participated some field investigations and the two anonymous reviewers who carefully reviewed the manuscript and provided many constructive comments and suggestions. ID-TIMS zircon U-Pb analysis was carried out in Beijing Research Institute of Uranium Geology. This study was jointly supported by PetroChina Basic Research Programs (Grant Nos. 2011A- 0206, 2014A-0216) and the National Basic Research Program of China (Grant No. 2014CB239001).